Five Below, Inc. is the leading retailer of trend-right, extreme-value merchandise to the teen and pre-teen market - all for $1.00 to $5.00. Five Below's dynamic assortment of merchandise includes everything from sporting goods, games, fashion accessories and jewelry, to hobbies and collectibles, bath and body, candy and snacks, room dècor and storage, stationery and school supplies, video game accessories, books, dvds, iPhone ® accessories, novelty and "gag," and seasonal items. 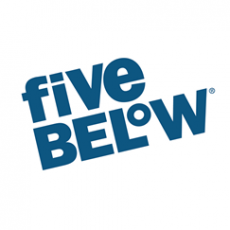 Five Below combines exceptional value with trend-right, quality merchandise in a vibrant shopping environment.